After just three races, we already have a clear cut top 4 that will likely be splitting most of the race victories for the remainder of the season. Sebastian Vettel’s red hot start to the season, comprised of wins in Australia and Bahrain, was derailed in Shanghai after his third straight front row start and second consecutive pole was interrupted by the safety car. But his car is undoubtedly the strongest in the field, something worrying reigning world champion Lewis Hamilton and Mercedes, who admitted prior to the race they do not know if they can compete with the German and his prancing horse. Another pole to Vettel will almost certainly signal another victory for one of Formula One’s greatest every frontrunners, it will take a minor miracle to stop the four-time champion. The Baku circuit is one made for television. It is tight, packed with sharp corners particularly as the track passes through the old city. At just over 6 kilometres it is the second largest track on tour, 2km of which is made up by the long straight which sees drivers hitting speeds in excess of 350km/h. The Ferraris have had all the speed through the opening three races but this track will demand more racing from drivers than just putting the foot down. Sebastian Vettel and Ferrari have finally found their car, and through the opening few weeks of the season they look unstoppable. Two poles, three front row starts and two races through Australia, Bahrain and Shanghai was only soured by an incident with the safety car, allowing Lewis Hamilton to cut the gap to nine points. But make no mistake about it, the gulf between the two cars is much larger, and Vettel looks to be the best pick each and every race. He looks the best prospect for the Race+Qualify markets given his red hot start, averaging 25 points per race and two poles already in 2018. Lewis Hamilton rarely plays anything close to the chest, and you can usually tell where confidence is in the amount he talks. When he knows he has the car to win the title, he is full of quiet confidence and swagger, but when he doubts his vehicle Hamilton is always available for a quote, usually one that is worrying to the team. He has admitted he doesn’t have faith in the car and is concerned they are nearly a second slower than the Ferrari, and until Mercedes can work out their grip issues it is hard to justify spending $29.8m on the reigning champion. You would be a foolish person to doubt this man, but right now this may be out of even his reach. Hardly the cheapest left field choice, but Daniel Ricciardo looks to have developed into an elite Formula One driver and may find himself in the thick of a battle for the title by the end of the year. The Australian’s dominant showing at Shanghai sees him arrive in Azerbaijan in good form, an event he won last year. The pedigree is there, the new-look Red Bulls are offering intriguing speed, and may have gone 1-2 last week if not for Max Verstappen’s overeagerness, and Ricciardo has matured into a much smarter driver. The strategy from his team last week was a masterclass, patiently allowing the field to play itself out before making their move. Averaging 18 per race and priced $5m lower than Valtteri Bottas. A strong qualifying is necessary, so Ricciardo may be the better option in just the Race category, but Ricciardo could be a strong play in Baku. With the aforementioned red hot Ricciardo and Max Verstappen, a fast car and a team you feel are starting to tie it all together again, Red Bull offers more value than the more favoured Ferraris and Mercedes’. 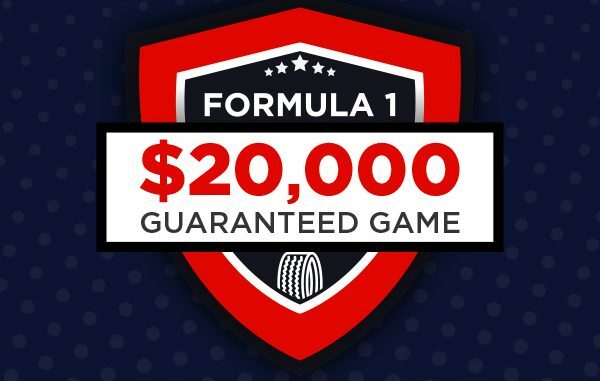 Ricciardo’s dominance at the event last week combined with his successes last year and the team’s creative race strategy has them poised as a strong play at $10m less than the Mercedes team and $7.5m less than Ferrari. Keep up with the race with us on Facebook and Twitter and we’ll have our usual live blogs for qualifying and the race too.